This is Lauren our floral summer dress for girls, with dainty blue and yellow flowers printed in the 100% cotton fabric, this floral dress for girls is hand embroidered with symmetric smocking in the same colors as the fabric and sprinkled with yellow rosebuds all around the collar. 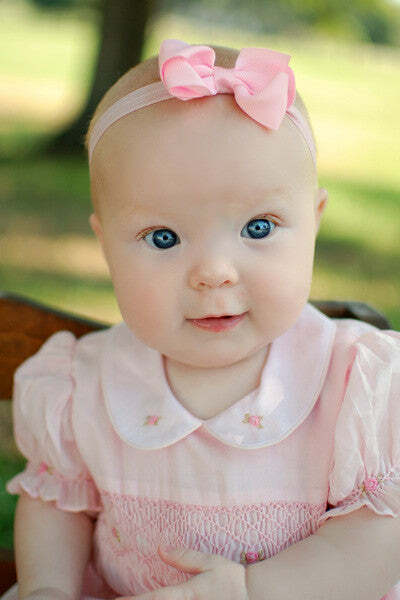 This will make a perfect smocked girls Spring Easter dress, you little girl is going to love it, and you will too! This dress also available in short sleeves.